Bourne Leisure is a huge company that owns some of the UK’s most well-known holiday brands, including Haven and Butlins. 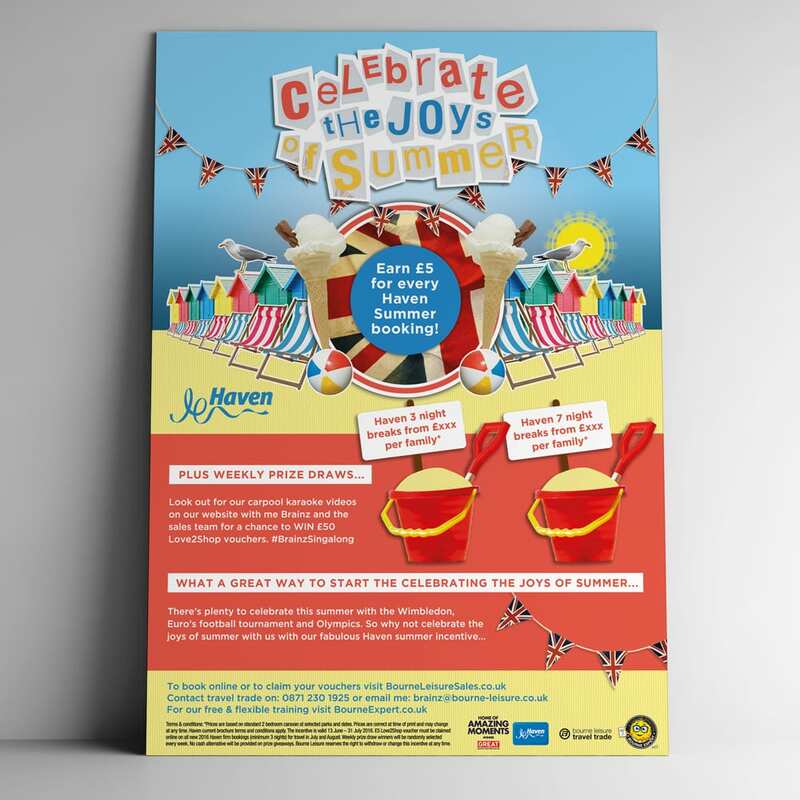 Despite their years of experience, though, Bourne was struggling to make an impact with their B2B direct mail campaigns, which were meant to incentivise travel agents to sell more summer holidays at their parks. 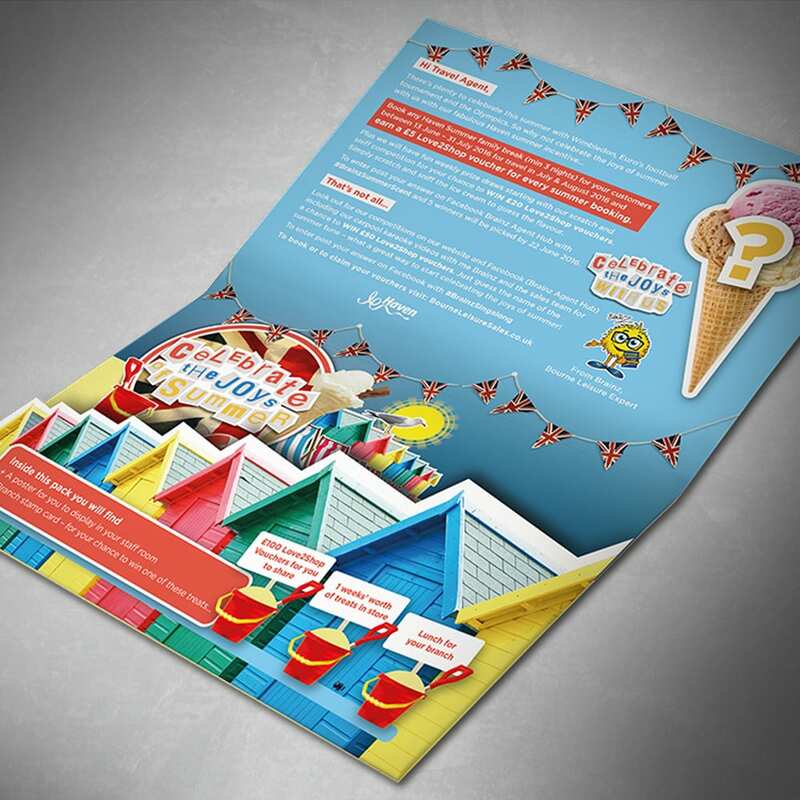 They had tried many different approaches in the past, but nothing seemed to be drumming up much interest – so that’s why they came to us and asked if we could create something that would be genuinely attention-grabbing in the notoriously cluttered world of mailshots. Despite working in a saturated marketplace, our designers managed to deliver a campaign that was eye-catching, engaging and, crucially, unique. 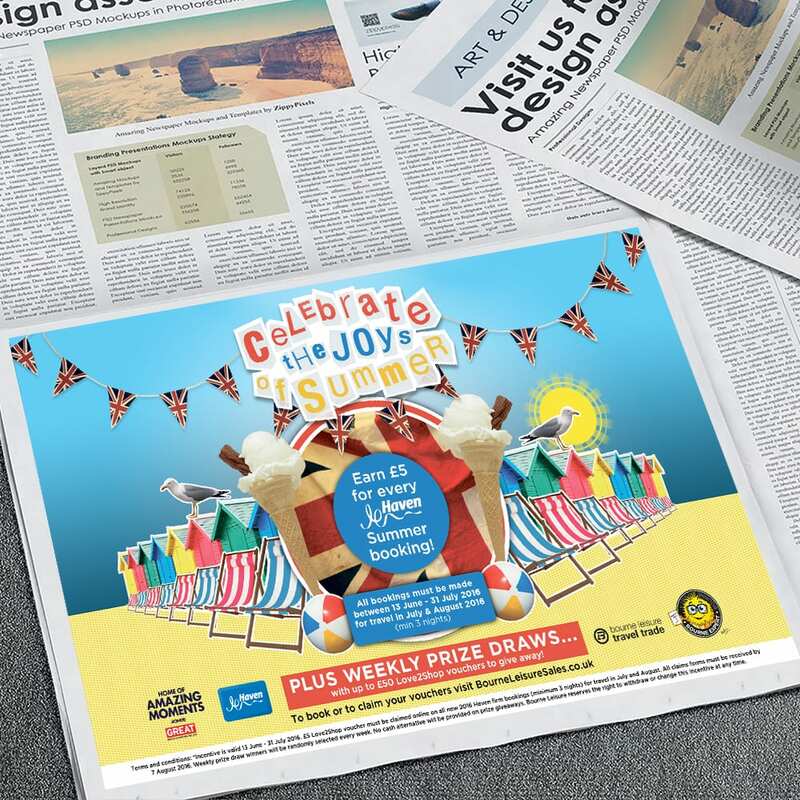 Using an innovative die cutting process, we were able to make the beach huts on the Bourne Leisure ads leap off the page, which instantly marked this out as different from every other piece of direct mail arriving on travel agents’ doormats. As well as our work going down very well with our client, we were happy about having the chance to show off one of our many interesting print techniques. We’ve got plenty of other tricks up our sleeves, so why not get in touch to find out more?